Keep all of those needles handy and organized with a simple wine cork! 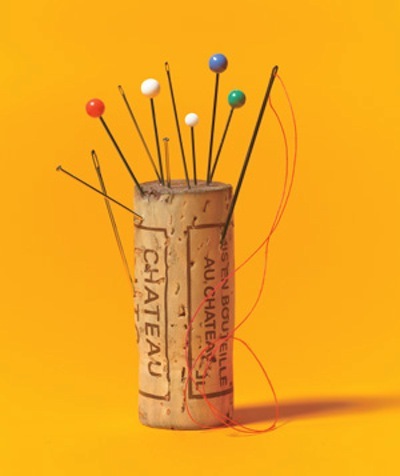 Who needs a pin cushion when you drink enough wine to finish every cork project imaginable? 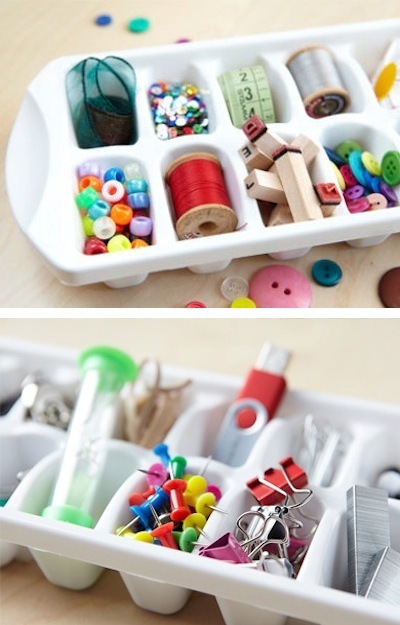 Use those ice cube trays that are taking up wasted space way in the back of your kitchen cupboards to store and organize small, miscellaneous craft and office supplies. Don’t throw it away just yet! 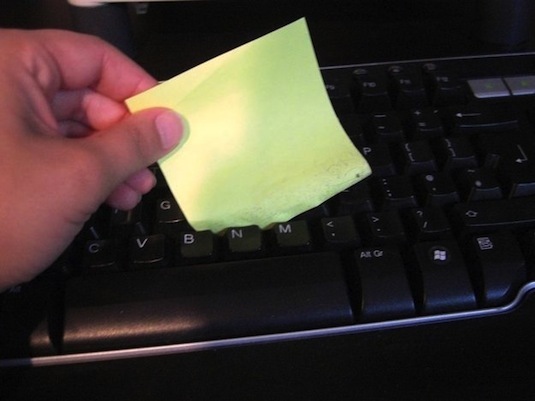 Use the sticky party of a Post-It note to get in between the tiny cracks of your keyboard.